The College and Graduate School of Arts and Sciences has a featured article about the recent publications of Department historians, including PhD alum Brian Rosenwald's blog for the Washington Post. Read the article, Historians’ Scholarship Making Headlines. Professor Brian Balogh and his BackStory.org collaborator, Ed Ayers, spoke to NPR's Jeremy Hobson about the intersection of sports, race, and politics in US history on Here & Now. Listen to their interview here: The Long History of Sports, Race and Politics in America. On Tuesday, September 12, Drs. Elizabeth Varon, Gary Gallagher, and John Mason spoke to the UVa community about the role of history and memory in the Charlottesville Civil War memorial statues in light of the events of August 11-12, 2017. Watch a video of their talks here. Audio of the lively Q&A session that followed is forthcoming. Professor Brian Balogh has spoken to Here & Now's Jeremy Hobson about how presidents have often made controversial moves while public attention is focused elsewhere. Listen here, How Presidents Use Distractions To Get Things Done. Wes Gobar, a Fourth-Year in the History Department's Distinguished Major Program has written a piece for the Washington Post on the events of August 12 and White supremacy. Read it here, "This IS us: Charlottesville represented something distinctly American. White supremacy." Graduate Students Sophie Abramowitz, Eva Latterner, and Gillet Rosenblith wrote a piece for The Slate on Charlottesville city planning and Confederate commemorations. Read the article, "Tools of Displacement: How Charlottesville, Virginia’s Confederate statues helped decimate the city’s historically successful black communities." Professor Andrew Kahrl has written a piece for the Washington Post on Hurricane Irma's impact on coastal Florida. Read it here, "The cost of coastal capitalism: How greedy developers left Miami ripe for destruction." Professor Brian Balogh recently interviewed former George W. Bush advisor Karl Rove for BackStory. Listen to the episode here. We Demand, a short film directed by Kevin Everson and Claudrena Harold, is screening at MIT’s List Visual Arts Center until October 29th as part of its Civil Disobedience exhibit. The daily screenings are 12:30. 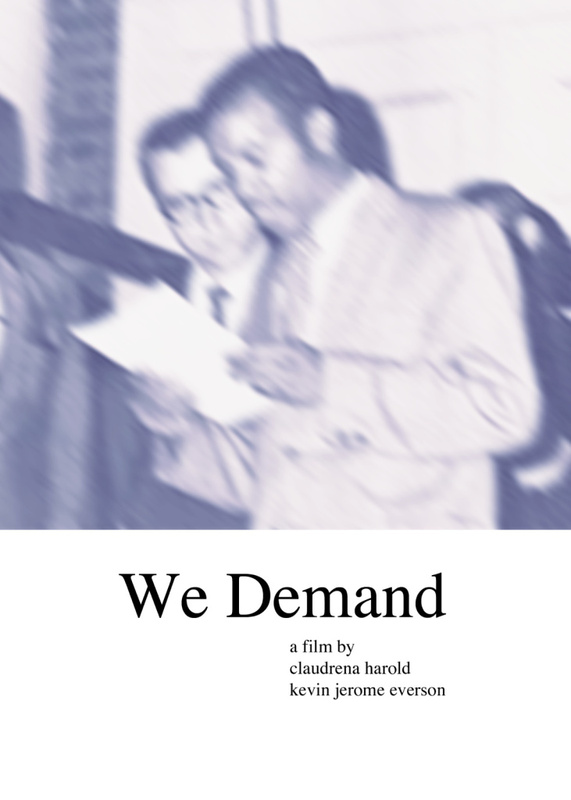 We Demand tells the story of the anti-Vietnam War Movement from the perspective of James R. Roebuck, a northern-born African American graduate student who studied history at the University of Virginia during the late 1960s\ early 1970s. Over a week-long period of student upheaval following the Kent State murders, Roebuck, the first African American president of UVA’s Student Council, confronted a series of political challenges as the University appeared on the verge of imploding from within. Professor Justene Hill was interviewed by NPR’s Neal Conan for his new podcast “Truth, Politics and Power.” Listen here. She appears toward the podcast. Read department graduate student Justin McBrien's article "How farmers convinced scientists to take climate change seriously" for the Washington Post, here. Professor Brian Balogh is featured in CNN.com's article about UVa students returning for the fall semester in the aftermath of the White Nationalist rally on August 12. Read the artice here. The KKK Once Gave UVa $1,000. These Professors Want the University to Admit It. Professor Grace Hale appeared on a recent episode of the podcast "It's Been a Minute with Sam Sanders" to talk about the concept of "Whiteness" and Charlottesville history. Listen here. Professor Waitman Beorn spoke with Forbes Magaine's Sarah Bond about the use of torches by the Nazi party in early twentieth century Germany and its imagery in the United States. Read the article here. Professor Elizabeth Varon has a piece for the Washington Post about the Civil War and its memory in light of the White Nationalist Rally in Charlottesville. Read her article "No, Mr. President, both sides aren’t to blame for Charlottesville — or the Civil War" here. Professor Philip Zelikow has written a piece on domestic terrorism, unauthorized private military groups, and the recent events in Charlottesville. Read his post "The Domestic Terrorism Danger: Focus on Unauthorized Private Military Groups" here. Professor Brian Balogh spoke with Boston's NPR affiliate on August 14 about the recent events in Charlottesville. You can listen to the segment here. Congratulations to department graduate students Asaf Almog and Swati Chawla, who have received Fellowships from the Institute for Humane Studies at George Mason University! Read more about the award here. Congratulations to deparment graduate students Swati Chawla, Alexandra Evans, Emily Matson Hite for receiving fellowships from the Mercatus Center at George Mason University! Emily and Swati were awarded the Center's Adam Smith Fellowships and Alexandra was awarded its Frederic Bastiat Fellowship. Click the links for more information on each award.